This is just a short bio on who I am and why I developed this website. Grant MacDonald is the name. I emigrated from Scotland to Canada in the fall of 1995. 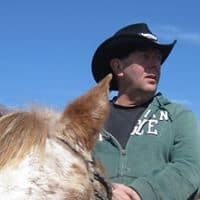 My years up to 1995 had been spent in the offshore oil industry but after a few personal set backs decided it was time for a change, so I pulled up sticks and bought a cattle ranch in northern Alberta, obviously watched too many John Wayne movies as a kid, the change from big city life to living just south of nowhere was awesome. Eventually reality bites, to maintain the ranching lifestyle and to keep the cattle fed in winter I had to go back to consulting in the oil patch, which meant extended periods away from home. During these periods I decided there must be a better way to make a living, which is when I started looking into Internet Marketing as a means to supplement our income. After a particularly gruelling contract where I was not physically at home for 18 months, it was with a heavy heart we took the decision to sell up and move closer to civilization. So hopefully this website will impart a little information that may help out other wannabee Internet Marketers.